You can now book all your appointments online with our new booking widget. Click here to book now. 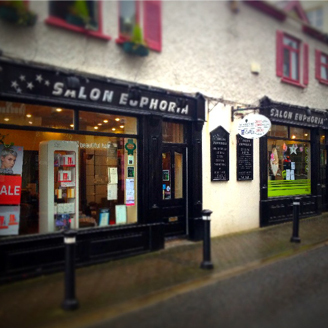 Salon Euphoria in Malahide, North County Dublin offers convenient access to friendly, down-to-earth stylists and therapists who put you FIRST! 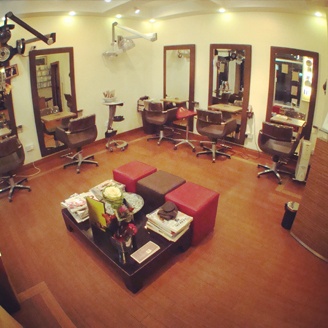 Choose from a wide range of cutting, colouring, beauty and other services to suit your needs. We understand that a great salon is not only made great by it's clientele but also by its team. 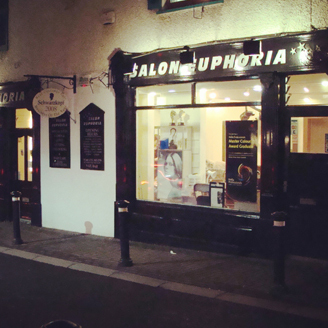 Here at Salon Euphoria our team is made up of both new and experienced professionals who'll leave you feeling pampered and looking beautiful. The team are constantly familiarising themselves with the latest hairdressing trends, translating catwalk collections and celebrity looks straight to the salon floor. We want to give you a hairstyle that is manageable and fits into your lifestyle. All the stylists ensure that your hair doesn't just look good the day you are leaving the salon, but that it will look just as amazing every day until your next appointment. 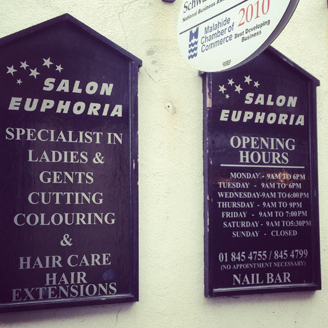 At Salon Euphoria we promise a professional service with friendly care and attention. Come visit us and see why we won the 2008 Best Customer Care Award. Salon Director. 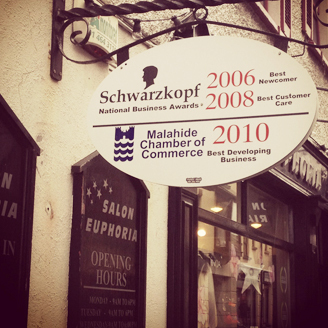 Hairdressing since 1985. Trained in Dublin & Covent Garden, London. Art Director & Manager of Rainbow Room International, Scotland. 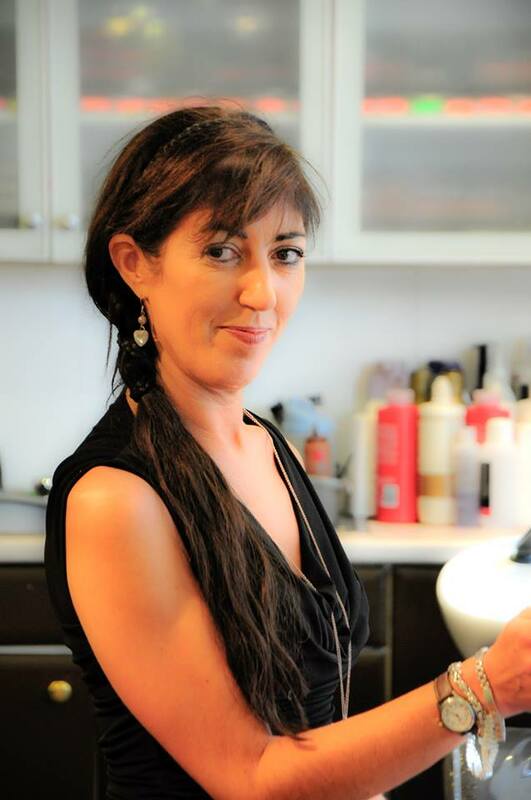 Award Winning Stylist in United Kingdom for client care, colour & outstanding performance. Trained with Vidal Sassoon & Charles Worthington. 1991 - 1997 Manager Pzazz, Malahide. 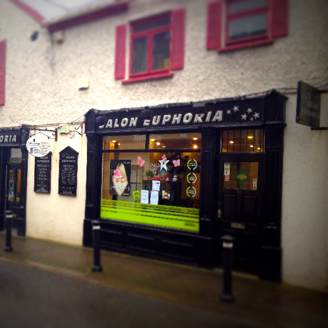 Took over salon November 2003 and named it Salon Euphoria. Qualified Master Colour Expert. 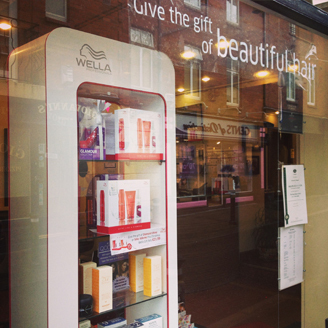 Conducted Cutting seminars for Wella & Salons around Ireland. Trendvision finalist 2009. Completed makeovers on Ireland AM. Have taken part in Hairshows for Vidal Sassoon & Wella. Specialize in colour, colour correction, perming & extensions. Design & Tailoring Cutting. Attends colouring & cutting seminars and hair shows on a regular basis. Lycon Waxing, Traditional Waxing, Eye Treatments, Manicures, Pedicures, Facials & Beauty Consultations. Book an Appointment at Salon Euphoria; you can now book all your appointments online with our new booking widget. Bernadette Flanagan - Honours in Master Colours Awards Specialists.